As VP at Deutsche Telekom Customer Service, Onno Hoffmann is in charge of special operations for residential customers and business-critical processes such as moving services, change of provider services and the provisioning of fixed-line access. His team also manages the introduction of innovations and new products at customer service sites. Furthermore Onno leads the digital service operations of Deutsche Telekom including web chat, video services, social media as well as the awarded ‘Telekom hilft’ Community with over 2m users per month. 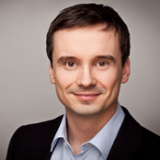 He joined Deutsche Telekom in 2007 and held various management positions in Sales, Service and CRM. Check out the incredible speaker line-up to see who will be joining Onno.